A common question in the industri is if the material bought fulfills the specifications. A wrong material in a product put on the market can cause expensive measures or can even be impossible to repair. 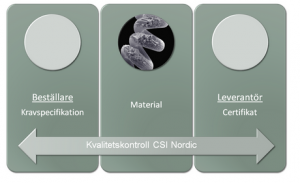 In order to avoid expensive consequences CSI Nordic can perform independent testing of different materials and material from different suppliers already in the product development stage.